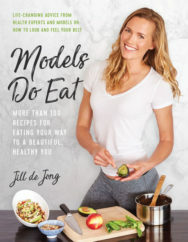 Jill de Jong was born in Holland, and her successful modeling career brought her to the US. She was based in New York for many years, explored Miami for a few years, and then fell in love with Los Angeles, where she currently resides; a great place to pursue her passion for health and wellness. She made the career shift from full-time modeling to health coach, personal trainer, and chef, and has never looked back.